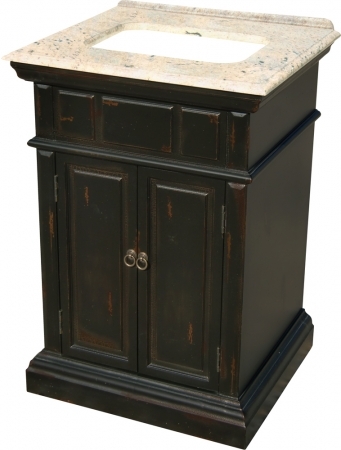 The black distressed finish gives a bold touch to the traditional design of this single sink bathroom vanity. The granite countertop has a natural look that will look perfect in any space. Practical storage space is provided with the double door cabinet that has antique brass hardware pulls to accent the dark finish. 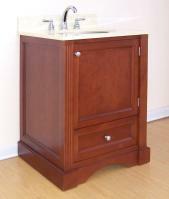 Additional Sizes: Also available in 25 Inch Single Sink Bath Vanity, 48 Inch Single Sink Bath Vanity, 58 Inch Double Sink Bath Vanity.